Was this caused by fence wire? Yes it was, and the side padding are dropping as well. Later, Rai messaged me the attached picture. One of the players last night forwarded me the attached picture. 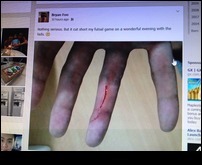 One of the other players suffered a cut on his hand from loose wire in the fencing around the 7-a-side pitch at East Coast. Over the course of last year and the first half of this year, I had on several occasions raised with you or Nessia the danger of loose wires in the fencing, and the padding on the fencing coming loose, including my e-mails below. My communications with Nessia in the second half of last year were largely by SMS while those in the first half of this year were on WhatsApp. Some effort was made on a couple of occasions to tie up the loose wires and the padding that had come loose, but they are recurring problems which need to be addressed more regularly. I am copying the two players who have raised concerns on several occasions. I copied Rai and Jeff. 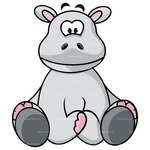 The earlier e-mails date back to 1 February 2012 and 2 June 2012. I await their response to my latest e-mail. Although there is parking at Khalsa itself, along Tessensohn Road, and at the Civil Service Club, these are often full. You are more likely to get parking at the HDB carpark on McNair Road. All you need to do then is cross the overhead bridge marked "OHB", and go down a flight of stairs to the right of the overhead bridge, go through a gate in the fence, and you will find yourself in a waiting area between the 2 pitches and the road. With your back to the road, we usually play on the pitch on the right. Parking at McNair Road and along Tessensohn Road is 50 cents per half hour. Uncovered pitch (only one big pitch) at Premier Pitch @ Balestier Road (6 or 7-a-side). Directions on how to get there and parking can be found here. I've added pitch information. As parking and getting there is much more difficult at Balestier Road than our other regular venues, I have provided an additional link to relevant information. The original first post on this thread related to booking issues at Sports Planet @ East Coast. This has not been a problem since I gave up the Thursday slot at East Coast. Sports Planet has different staff in charge of different days. The person in charge of Mondays (previously Nessia, who was promoted to manager last year), was in charge of my account, and made sure my Monday bookings were in. The person in charge of Thursdays had less interest in making sure my bookings were in, which was why we had problems with the booking from time to time. On 30 minutes, ..., I accidentally kicked the metal I-beam protruding from one of the walls. The pain was so severe that I lost mobility and to play the rest of the game in goal. It turns out from X-Rays that I dislocated my second toe and will now be out for 4-5 weeks. I have raised the protruding metal I-beam with The Cage management. They said they will look into it. I haven't heard back from The Cage. I may put Ian in direct contact with them. Unlike playing off side nettings, such as at The Grandstand, Balestier Road and the 5-a-side pitches at East Coast, playing off the side walls/fencing at Kallang and the big pitch at East Coast carries the risk of injury from running or falling into, or kicking against, a hard surface. The risk at East Coast was last addressed on 24 December 2011, on the Sports Planet @ East Coast thread. Other safety issues relating to the maintenance of the fencing/padding around the big pitch at East Coast has been raised more regularly, most recently on 27 November 2013. ..., if safety issues arise for which those who manage the venues are responsible, I will pursue the matter with them, as I have repeatedly done with Sports Planet @ East Coast in relation to the big pitch there. The Cage have informed me that they have asked their maintenance staff to add padding around these protrusions. For those who play at Kallang, please let me know if this has been done, and, if so, whether it is adequate. Recurring problems at Sports Planet @ East Coast include issues with the lighting, the padding used to protect players from the fencing, which comprises of beams and wires, and loose wires in the fencing. Kelvin Au, at 8.28 pm: "Not sure if I'm happy or sad that the side panels are gone... The Green foam traps "
Rai at 8.59 pm: "Lights are broken (nothing new) on one side of the pitch .. I think we should refrain from playing at this lousy place again until they get their act together .. Before someone gets hurt real bad"
The alternatives to the Monday night game at East Coast are the Sunday night game at Balestier Road, the Monday night game at The Grandstand (to be re-started in July 2014), the Tuesday night game at Kallang, and the Thursday night game at Balestier Road. For me, it would suffice if they padded the vertical beams. However, they would then need to check the wire fencing more regularly, to make sure there are no loose wires. I e-mailed Nessia yesterday morning. Nessia called me later in the day and informed me that they were required by the National Environment Agency to remove the padding as water was collecting at the bottom of the padding, and mosquitos were breeding there. They are looking at alternatives. She also said that the lights are working. I understand the broken lights were replaced last year. Now, it is only a matter of the staff carrying out the right procedure to switch on the extra spotlights. There are two boxes controlling the light. Both need to be re-set, not just the one. It would be useful if our regulars bore this in mind, because the Sports Planet staff don't always. I will continue to schedule the Monday night game at East Coast unless it becomes clear that there not enough players willing to continue to play at East Coast. I added Nessia to the WhatsApp group chat for the Monday night East Coast games on 23 June 2014 and 30 June 2014. No issues were raised before the games on 30 June 2014. Does anyone know where to buy specs that can shine lights from the front of the frame? I have no idea what that is about. No additional information was provided, so I'm still not sure what that was about. .... .... it was very dark and they could hardly see their goal posts. PS - The lights were still not working well at one end of the field so we switched sides at half time. Think we should get a discount for playing in such crap conditions. 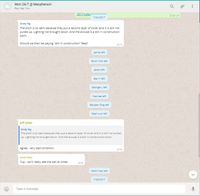 I've created a WhatsApp group chat with you, Rai (because he also raised the lights issue recently) and Nessia, so you can let Nessia know what the problem was. It took a while to figure out that the issue this time wasn't the extra spotlights. One of the original floodlights (the one on the opposite side of the pitch from the extra spotlights) wasn't working. There has been no response from Nessia. The big pitch at East Coast is a converted tennis court. The original floodlights probably date back to the 1970s. I can understand the difficulties Sports Planet face with the lights. The extra spotlights were installed in or around April 2011 after the floodlight on that side stopped working. I am not sure what Sports Planet are going to do about this second floodlight to fail. I'll try to get more information. On a separate note, The Premier Pitch @ Khalsa have informed me that they will be re-turfing the pitches between 27 July 2014 and 10 August 2014, during which time, they will only have one big pitch. As such, they have cancelled two of my bookings, on 6 August 2014 (Wednesday) and 7 August 2014 (Thursday). On another note, I have renamed the thread "Regular venues & pitches" as "Our regular venues & pitches" made it difficult for me to refer to it in other threads. Rai WhatsApped me yesterday to say the floodlight was still not working when he drove past on Friday night. I have messaged Nessia several times, including today, but she has still not responded. I called Sports Planet at East Coast today and the person on duty confirmed that the floodlight has not been fixed. When I asked whether anything was being done to fix it, he told me that nothing was being done. I informed the person on duty that if Nessia does not get back to me by today, I will cancel my booking. I also messaged Nessia to let her know. I had a chat with Nessia. She says the problem is that they can't get anyone to come in to fix the light. We have 9 players now. I am reluctant to ask around when the lighting issue hasn't been resolved. The best solution would be to switch to 5-a-side pitch, which doesn't have lighting issues. Marko says he and Shawn are out for 5-a-side on a small pitch, or 6-a-side on a big pitch. Therefore, if we don't get 5 more for 14, we only have 7. Reis also said he is out for a 5-a-side, which means we only have 6. The rest haven't replied. Assuming they are ok with a 5-a-side on a small pitch, we need 4 more for a 5-a-side, or 5 more for a 6 or 7-a-side on a big pitch. I'll give it until 5 pm. As we didn't get any more players, the game was cancelled. Therefore, apart from the games on 16 June, 30 June 2014 and 14 July 2014, when the lighting on the big pitch at East Coast was raised as an issue (as discussed in the post above), the games on 7 July 2014 and last night were cancelled due to insufficient players. There appears to be no solution to the lighting issue for the big pitch. When we spoke on Sunday night, Nessia also informed me that even if Sports Planet get someone to fix the lights, there is no guarantee that all the lights will come on when we play, either because of weather conditions, or because the original floodlights are old and unreliable. She also said the Sports Planet management are not prepared to compensate us for games affected by lights not working, as there are always other groups willing to play at full price, even with the unreliable lighting. The East Coast game on 9 June 2014 was also cancelled with numbers stuck at 9 due to several players not wanting to switch to a 5-a-side on a small pitch, even though a small pitch was available, and if I asked around, I would probably have gotten one more player. A couple of games were also cancelled last year (14 February 2013 and 21 October 2013) due to players not being willing to switch to a small pitch when we had insufficient numbers for the big pitch, but could have gotten enough players for a small pitch. However, the two games that did switch to a small pitch last year, on 6 May 2013 and 17 June 2013, were fun. Apart from players not willing to switch to a small pitch when we don't have enough for a big pitch, but might have enough for a small pitch, there are the persistent issues of lighting and safety (loose wires in the fencing, the beams of the fencing now not covered by padding, previously, the padding being loose) on the big pitch at East Coast. 9 June 2014 - cancelled due to insufficient numbers and players unwilling to switch to small pitch. 16 June 2014 - extra spotlights didn't come on. 23 June 2014 - latecoming, player attitude issues. 30 June 2014 - lighting issues (? ), player attitude issues. 7 July 2014 - game cancelled due to insufficient numbers. 14 July 2014 - one of the floodlights failed. 21 July 2014 - cancelled due to insufficient numbers and players unwilling to switch to small pitch. There are just too many issues with the game on the big pitch at East Coast - conflicting player expectations is just one more. For the rest of this month, I will replace both games on Monday night with one 7-a-side game at HYSA (8 Mattar Road). - Place is easy enough to find, but it's on a one way road (missing a turn means making one big detour), so do head off early if it's your first time there. - Pitch surface is pretty good, according to Jeff, it's FIFA recommended / approved. - Dimension wise, about the same length, but wider than Khalsa pitch by quite a bit. - Allows for NO extra time, venue has spot light timer that goes off at 10pm sharp (very energy efficient; means we've got to be early and start on the dot). Agree on the lights and no extra time, I would recommend you all to write in as feedback. I will do it today later. 1) In pitch one, the left side (if facing the carpark) needs to be lit else the lighting is imbalance. 2) Due to turn over if other teams are playing, they should give a 5-10 mins grace so that we can play for 60 mins. Despite the lighting, this place is still 1-up than ECP as there isn't metal beams that can cause harm to players, a proper goal and no holes on the sides (for now). P.S - Bring your own isotonic drink - freakin' $1.30. Drivers, you can make some cash here. As the Monday night game will be at HYFA for at least the next 9 weeks, I've moved the discussion on the the venue/pitch to this, the "Regular venues & pitches" thread. How dim were the lights? Is it just a matter of getting used to it, or so dim that it affects the game? Everyone be there by 8.45 pm, and do any warming up or kick about in the open turfed space between the parking area and the pitches. Start pressing the earlier group a few minutes before 9 pm to leave the pitch. The 5 or 10 minutes wasted between 9 and 9.10 pm at East Coast and Khalsa should be brought forward 10 minutes earlier, so that the game can start at 9 pm sharp, or within a minute or two after 9 pm. Thank you so much for your kind feedback and we value your comments, and please allow me to explain the situation in order for you to better understand our operational constraints right now. We understand the lighting may be a little dim, but we are working on it with URA as some neighbours have raised concern over the glare of the lights shining into their house, so we had to tilt it down a little to make sure it is acceptable to them. Nonetheless, we are working with the community to make sure we look out for each other’s interest and minimize any disamenties to the neighbor. Same for the turning off of lights at 11pm sharp as again, it is another area of concern which we are working on with URA to allow for lights to be at least on for another 30 mins for the last customer to cool down and leave the area as their directive is for us to lights off at 11pm sharp. So I sincerely hope you understand our constraints and that we are working hard to make it a more conducive place for our patrons. Immediate action: We will make sure we try to keep pitch 2 lights on whether or not there are people playing or not in order to keep the place lit and also, will get my guys on site to make sure all bookings are ended on time in order to maximize your playing time. So please bear with us for the time being while we work with the relevant agencies, and we still look forward for your continuous support at our facility. Thanks. I played at the pitch yesterday and I have 2 feedback in regards to the pitch at 8 Mattar Road. The pitch is poorly lit. I played at Pitch 1 (7 aside) and the left side of the pitch - facing the carpark has no lighting which severely reduced visibility especially after the next pitch lights were switched off too. Lighting is important especially playing at night as it may cause harm to players due to collision or late challenges due to visibility. It also reduces the positive playing experience. The lights on the pitch are switched off immediately on the hour. Do take note that there are sometimes teams playing before and it usually takes up to 10 mins before the team give way for the next. I would like to request that the management gives 10 mins grace before turning off the lights. So that the people can have a full 60mins playing time and not 50. Do consider these suggestions and I believe it is a good place to play and I look forward to have my weekly footie there with improved conditions. Our first game at Kallang turns out to be quite a disappointment. The views were echoed on the WhatsApp group chat after the game by Jeremiah, Derian, Daniel T, Sean, Zak and Andy Ng. Condition and size of the pitch. The condition and size of the pitch is similar to the big pitch at East Coast. I am informed it is tennis court sized, which is the same as the big pitch at East Coast. Drinks. They are in the process of setting up an F&B area. They are waiting for URA approval. I am informed there is a portable toilet near the gate. Zak also raised shower facilities. I am informed that there are shower facilities at the nearby tennis and squash centre, and at the nearby 11-a-side pitch. The Cage (which Zak used last night) might be too far. Location is not really an issue. I would think it is actually very convenient. It is just a matter of finding it the first time. The metal poles are outside the netting. The beams at Khalsa are slightly further away from the netting. The beams at East Coast are part of the wire fencing. It may not be as safe as Khalsa, but definitely safer than East Coast, especially with netting instead of wire fencing. Also safer if we play to the lines, instead of to the netting. However, playing to the lines may require playing 6-a-side. Nevertheless, I will keep it as 7-a-side for now. Seating will be available when the F&B area is up. It rained a lot yesterday, heavily at various times. Any pitch would have been soaking, even a covered pitch, with heavy rain coming in from the sides. Further, a covered pitch will be slower to dry. However, if it had continued to rain past 8 pm, a game on an uncovered pitch would have had to be cancelled, while that at SBSA would have been able to continue. Overall, while SBSA may not be as good as Khalsa, it is definitely better than the big pitch at East Coast has ever been. And we played on the big pitch at East Coast (from August 2010) for a long time before conditions deteriorated to such an extent that last month, I decided we just couldn't continue playing on that pitch anymore. I can see why the Khalsa regulars, especially the Wednesday night regulars, wouldn't want to move to SBSA. On top of everything else, regular players become comfortable with the regular venues, and don't like change. When we first started playing at Khalsa, The Grandstand regulars complained the pitch was wet and slippery, while the East Coast regulars complained it was too far. It took ages to get the Khalsa games going after we first started playing there in March 2011. The Wednesday night game at Khalsa has only become the most popular in the past year, while the Thursday night game is just about stabilising. It is covered, which means games can go on even when it is raining. It is cheaper. For some players, cost is still a significant factor. It is currently readily available, so it allows for additional games to be introduced over time. We can even have additional day-time 7-a-side games at the weekend and on public holidays when the covered pitch at The Grandstand is not available. Thursday, 4 September 2014 (Khalsa game switched). Monday, 8 September 2014 (MacPherson game switched). Tuesday, 16 September 2014 (The Cage game switched). The following week, I will then try an extra game on Friday (26th, 8 to 9 pm or 9 to 10 pm), Saturday (27th, 4 to 5 pm) and/or Sunday (28th, 4 to 5 pm or 8 to 9 pm) at SBSA. From October 2014 onwards, I will switch the Tuesday night game to SBSA, so that all our current games can go up to 7-a-side every day of the week (8-a-side for weekends), and move the 5-a-side game at The Cage from Tuesday to Wednesday or Friday. If I move it to Friday, it will be the only game on Friday. If I move it to Wednesday, it will be in addition to the Khalsa game. If the Khalsa game on Wednesdays continues to fill up within a day, I will put up the price per player to $11 per player, and use it to subsidise The Cage game on Wednesday, thereby reducing it to $9 per player. If The Cage game is moved to Wednesday, the Friday night game could be at either The Cage (so we can get by with 10) or SBSA (so we can have 7-a-side). On a separate note, further to the post above, the lighting at MacPherson was sorted by the following game (18 August 2014). Uncovered pitch at Offside @ HYFA (MacPherson) (7-a-side, 6-a-side if short of players). Usually $10 per player. 8 Mattar Road. Uncovered pitch at Premier Pitch @ Singapore Khalsa Association (Serangoon) (7-a-side, 6-a-side if short of players). Usually $10 per player. 2 Tessensohn Road or access from 49 Balestier Road. Covered pitch at Premier Pitch @ The Grandstand (Bukit Timah) (8-a-side, 7-a-side if short of players). Usually $12 per player. 200 Turf Club Road, Plot 9. Covered pitch (usually Pitch 4) at The Cage @ Kallang (5-a-side, 4-a-side if short of players). Usually $10 per player. 38 Jalan Benaan Kapal. Saturdays, 4.50 to 6.00 pm, Premier Pitch @ The Grandstand. Sundays, 4.50 to 6.00 pm, Premier Pitch @ The Grandstand. Mondays, 8.50 to 10.00 pm, Offside @ HYFA. Tuesdays, 8.50 to 10.00 pm, The Cage @ Kallang. The format is now [Operator] @ [Location] (Area). I have changed the area from "Balestier Road" to "Serangoon", as Balestier Road extends quite far and "Balestier" has an amorphous identity, and as such, is not very helpful in identifying the location, especially as the S-League club Balestier Khalsa play at Toa Payoh. Accordingly, I have changed the label from "BR" to "SR". Each link is now to streetdirectory.com, and to the exact venue, rather than to just the vicinity as it was in certain cases before. With effect from the game on 1 September 2014, the above format will be used in the schedule and report threads. I have also added the address in each schedule thread, with a link to the location map. I have also started indicating whether the pitch is covered or uncovered within each schedule thread. Currently, I am only indicating this in the subject for games at the Premier Pitch because of the difference between our games at The Grandstand and Khalsa, but I will stop doing that as it will not be indicated for every game, within the first post. The next game at The Cage @ Kallang starts a new payment cycle. I am now very reluctant to incur the cost of a new payment cycle when numbers have been so bad over the past four weeks, especially when I have paid for bookings at Sports Planet @ East Coast and SBSA @ Kallang which I have not been able to use. I have a balance of 2 bookings at Sports Planet @ East Coast, for which they are refusing to give a refund, despite the issues over the conditions there (as discussed earlier in this thread), and 4 bookings at SBSA @ Kallang which have already been paid for. I have put up a schedule post for a Friday night game at SBSA @ Kallang for three weeks now (3 October 2014, 10 October 2014 and 17 October 2014), but trying to fill up regular games is taking up too much of my time, and I haven't had the time to try to fill up a new game. As I have pointed out before, new games need a lot more effort to get going. I will also continue scheduling a Friday night game at SBSA @ Kallang indefinitely. I thought they had the portable toilets on the side of the 7-a-side pitches facing the 9-a-side / 11-a-side pitch. As set out above, best to park at McNair Road, then cross the overhead bridge to the side entrance along Balestier Road. Please note that the parking at McNair Road is now cashcard parking, no longer coupon parking. Thank you for your interest in HYFA. We are the new operators that took from Offside with effect from 15th June 2015. Our DBS Current Account number is .... Please use this account to deposit the advance payment. Do let us know when you have done so and we will update it on our system accordingly. I have removed all references to Offside in the schedule and report threads for the Monday night game at HYFA with effect from 15 June 2015. I resumed scheduling the game on Tuesdays on a small pitch at the Grandstand with effect from 18 August 2015. Both the game on 18 August 2015 and 25 August 2015 filled up. To distinguish the Tuesday game on small pitch from those on a big pitch (that we use for the Saturday and Sunday games), I specify 6-a-side in the subject, and have created a separate label, "GS(S)". However, to show it is the same venue, I have used blue for the colour code, same as the "GS" label. In fact, for the first game, I can reduce it to $8 per player. I'll do the same for the first Thursday game at The Arena as well. I went down to have a look. The pitch is a bit small for 7-a-side. It would for ok for 6-a-side. Back at Khalsa next Thursday. As the pitch at The Arena @ Braddell is only suitable for 6-a-side, I will switch the Tuesday game back to the Grandstand, and keep the Thursday game at Khalsa. Arena's introductory offer for the pitch is also not worth it if it's only suitable for 6-a-side. The game ended 3-3 with a lot of misses and hitting of the bars. Maybe it is due to the dark pitch. Keith also conceded a penalty as he says he got totally lost when going for the header as the ball "disappear" and "appear". By this time, the reds were 2-0 up and the whites rallied to go 3-2 up before conceding an equalizer. The game fizzles out eventually after both sides hit the posts in a few attempts. The reds particularly had a chance that hit the posts consecutively in an attack. I hope it has been resolved. On a separate note, the covered 5-a-side pitch is not available on 10 October 2017, so the game will be on the outdoor pitch. The usual covered pitch (under Premier Pitch Indoors), on which we used to play 6-a-side. The uncovered 5-a-side pitch under Premier Pitch Outdoors, which is about the same size as covered pitch, but cheaper. 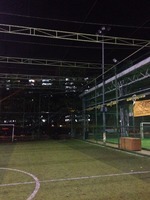 The uncovered 5-a-side pitch under Rainforest Sports Hub, which is smaller, but costs about the same as the uncovered pitch under Premier Pitch Outdoors. The uncovered 5-a-side pitch under Premier Pitch Indoors, which is smaller (about the same size as at Rainforest Sports Hub), and only slightly cheaper. When the usual covered pitch is not available, it makes sense to switch to the uncovered 5-a-side pitch under Premier Pitch Outdoors. We have also tried the 7-a-side pitches at Rainforest Sports Hub and at Premier Pitch Outdoors for the weekend games, when the usual covered pitch at Premier Pitch Indoors was not available, for whatever reason. Premier Pitch Indoors has informed me that the covered pitch is not available on Saturday, 9 Dec 2017, so I have to find an alternative again. We finally got one more for 10. Further to the post above, for this month, the once a month "forced" switch of the Tuesday night game to an uncovered pitch is 16 January 2018.